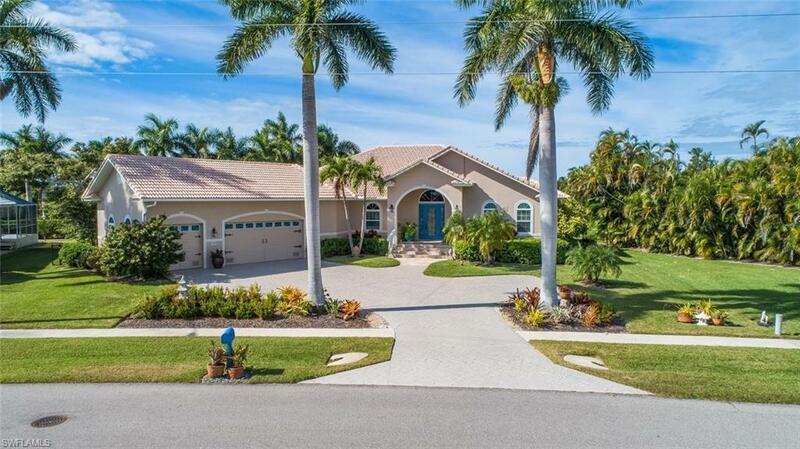 You will love retreating to multiple living spaces in this tastefully updated 4 bedroom/ 4 bath/ 3 car garage residence built in 2001 on a beautifully landscaped, fully fenced, expansive nearly 1/2 acre western exposure lot in the heart of the esteemed Estates section of Marco Island. 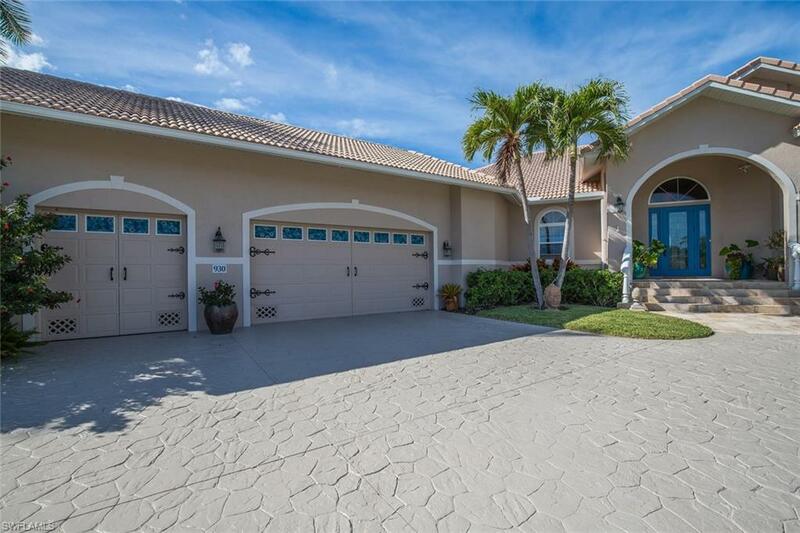 Soaring 16' ceilings greet you upon your arrival to the bright and open floor plan with plenty of natural light. The kitchen features new appliances including stainless steel range, an additional wall oven and separate microwave combo, new exhaust, new tile back splash and breakfast counter open to the roomy and comfortable den. The master bedroom is vast yet cozy with ample closet space, en suite bath and its own air conditioning system. Two of the three guest bedrooms boast en suite baths. The laundry is well equipped with storage cabinets, wash basin and a new washer and dryer. 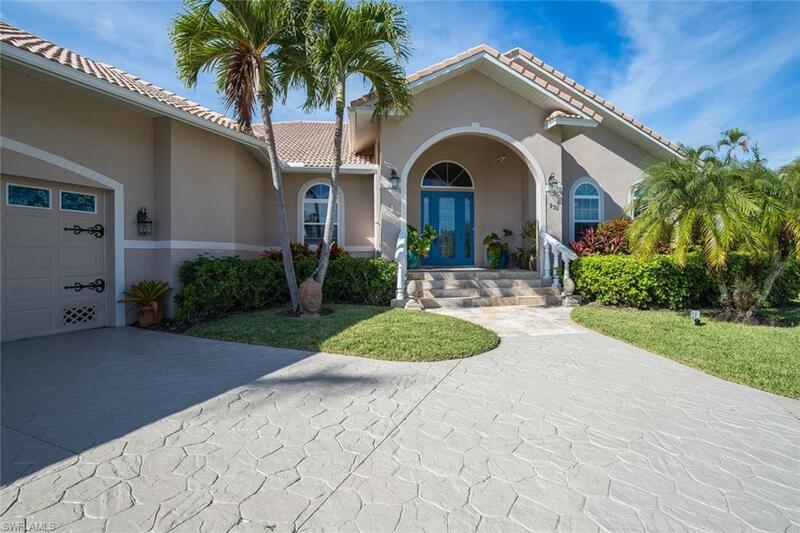 The outdoor paradise offers a spacious lanai, large free form heated pool with a water feature and a generous pool deck perfect for entertaining. The back yard reveals wonderful mature landscaping and fruit trees. 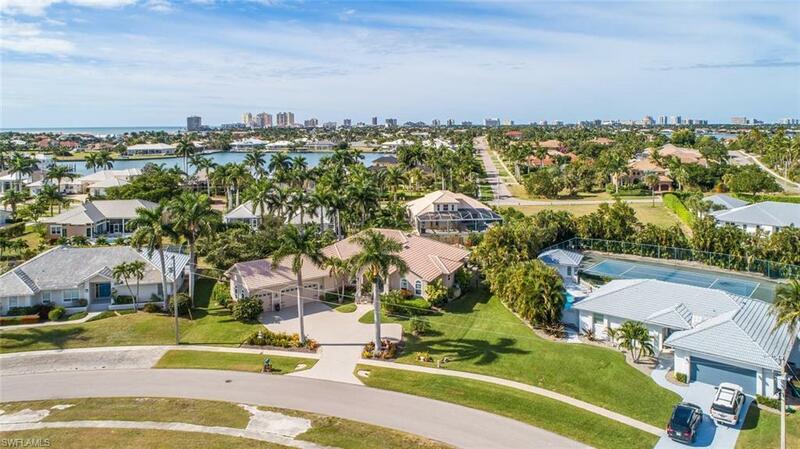 The home is located just moments to our award winning beaches, very convenient to all Marco Island offers.